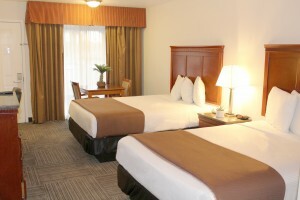 Relax after a long day of traveling in our cozy and comfortable Single Queen Room. 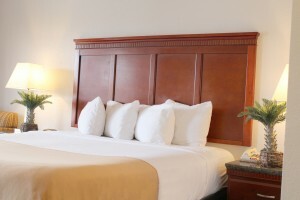 This air-conditioned guest room has a queen size bed making it perfect for singles or couples. The room includes a variety of complimentary amenities including free wireless Internet, cable TV with premium channels, microwave, fridge, and access to our private swimming pool. 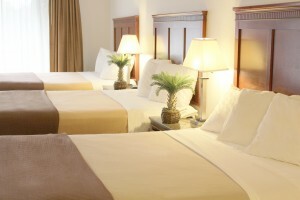 A private full bathroom with shower and tub combo, hair dryer and complimentary toiletries is available with each room.